Eric Lee was surprised when the "check engine" light came on in his brand-new Lexus. He was even more surprised when his mechanic told him the cause of the problem: rats had nested in his engine and eaten through his wiring. They’d gnawed through the foam in his engine cover, bitten though parts of the machinery, even left little footprints on the metal. "These are all bite marks...they chewed through this entire foam," said Lee’s mechanic, Sam Sem. "And these little prints here are footprints from the rats." “This happens all the time,” Sem said. “They like the warmth of the engine." Lee has lived in Chinatown for the last 40 years -- and he parks his car on the local streets. He said he’s always seen an occasional rat in the neighborhood, but lately things seem to be getting worse. “I've never seen such a rat-infested neighborhood," he said. His neighbors seem to agree. The I-Team did some digging and found that 311 complaints about rodents in the area have increased by 140 percent over the last five years – from 228 in 2010 to 549 last year. They’re up citywide as well, but by a slimmer margin of about 32 percent. On a recent day at Columbus Park in Chinatown, two biologists who specialize in rodent behavior found dozens of critters before dusk, darting out from holes in the ground, scampering behind rocks, and sniffing around the shrubs. Mike Deutsch, an urban biologist and exterminator at Long Island-based Arrow Exterminating, has studied rodents for more than 40 years. He says rats are more than just a nuisance -- they can carry dangerous pathogens such as tuberculosis, E. coli, and even the plague. Deutsch and Mike Parsons are looking for ways to control rat populations through contraceptives. “They're safe from themselves, first and foremost, because there's so much food here that the rats don't turn on one another,” said Parsons, a biology scholar-in-residence at Hofstra University. 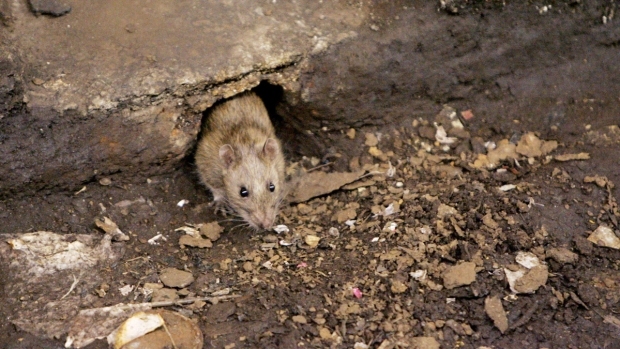 Last year, the city vowed to crack down on rats across the city. They targeted East Harlem, the East Village and Manhattan Valley in Manhattan and Grand Concourse, Mount Hope and Belmont in the Bronx, according to Carolina Rodriguez,, a spokeswoman for the Health Department. But Chinatown is next on the list and burrows will be sealed up, as will holes in the sidewalks and other infrastructure, Rodriguez said. She said city workers have baited in the park three times since last summer. But she said there are factors at Columbus Park that make it especially difficult such as foot traffic, nearby restaurants and office buildings and people feeding the wildlife. Still, Lee blames the city for what happened to his car. It's no secret that rats carry diseases but you might be surprised to find out which ones. Marc Santia reports. "They should have removed these rats, " he said. There are some innovations to keep rodents from cars, including some repellents people can smother inside the engine cover, but there's also bad news: once rats have nested in a space, experts say they could come back because they know they can burrow there and they've left their scents in the car.